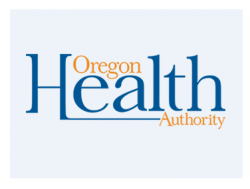 The Oregon Health Authority (OHA), Public Health Division (PHD), Office of the Public Health Director (OSPHD. Program Operations Unit is seeking a Limited Duration Public Health Meaningful Use Project Coordinator to serve as the lead and single point of contact for the strategic development, coordination, management, delivery, and evaluation of Meaningful Use health information technology (HIT) projects throughout the Oregon Public Health Division (PHD). The Program Operations Unit is a customer service focused team that supports all programs inside the Public Health Division, as well as outside parties. We develop solutions, facilitate communication and remove barriers to ensure success at all levels of the division. Areas of responsibility include quality improvement, workforce development, safety and risk management, web operations and policy and procedure improvements. As the Public Health Meaningful Use Project Coordinator, you will provide strategic oversight and project management on multiple Public Health Division Meaningful Use IT projects. You will ensure projects are in alignment and adhere to federal, state, agency, and Public Health Division policies, statutes, and rules. In addition, you will leverage national initiatives to promote information exchange and interoperability between public health systems, federal systems, and Oregon providers and hospitals and identify and mitigate IT systems related performance issues and recommend potential solutions to the PHD Director of Program Operations. While in this position, you will collaborate with business partners, managers, and agency staff to understand and align with the goals and strategies of public health modernization and best practices in Public Health. You will strategize and collaborate with Public Health Division programs to prioritize Meaningful Use projects and manage Meaningful Use contracts. In collaboration with Public Health Division program staff, you will ensure that proposed projects meet the goals and objectives for the Centers for Medicaid and Medicare Services funding guidance document (HIT I-APD-U) and identify and evaluate operational impacts and risks of proposed system, organization, and process changes. You will work with a team of public health professionals who are passionate about the work they do to manage health information technology. Do you have experience implementing health information technology projects? Have you managed and executed contracts? Do you have project management experience? If so, we want to connect with you! A Bachelor's Degree in Public Health, Business or Public Administration or any degree demonstrating the capacity for the knowledge and skills; AND four years professional-level evaluative, analytical and planning work. Any combination of experience and education equivalent to seven years of experience that typically supports the knowledge and skills for the classification.